So I won’t ever call myself a domestic diva or a master DIY’er but I definitely like to dabble in DIY projects here and there. Late last year, I made it my mission to make our bedroom comfy, cozy and cool. 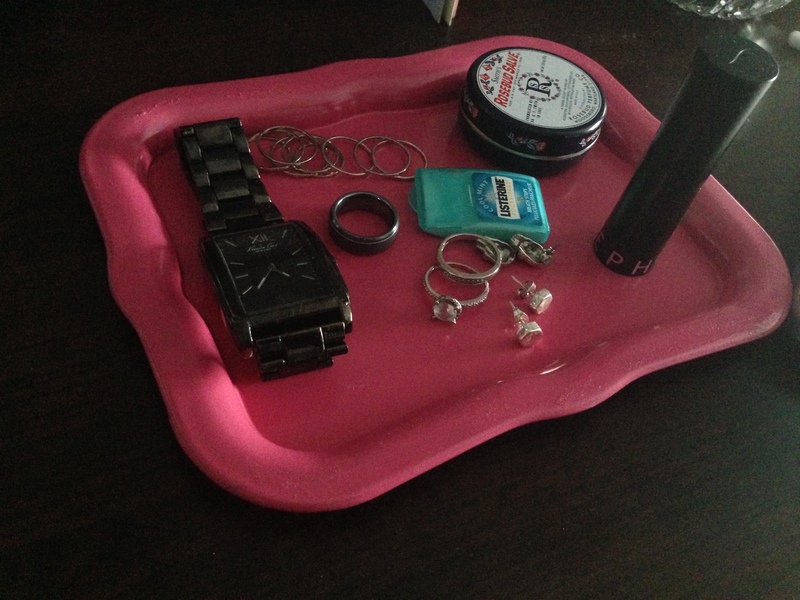 More recently, my focus in the bedroom has been my decorating my dresser top. 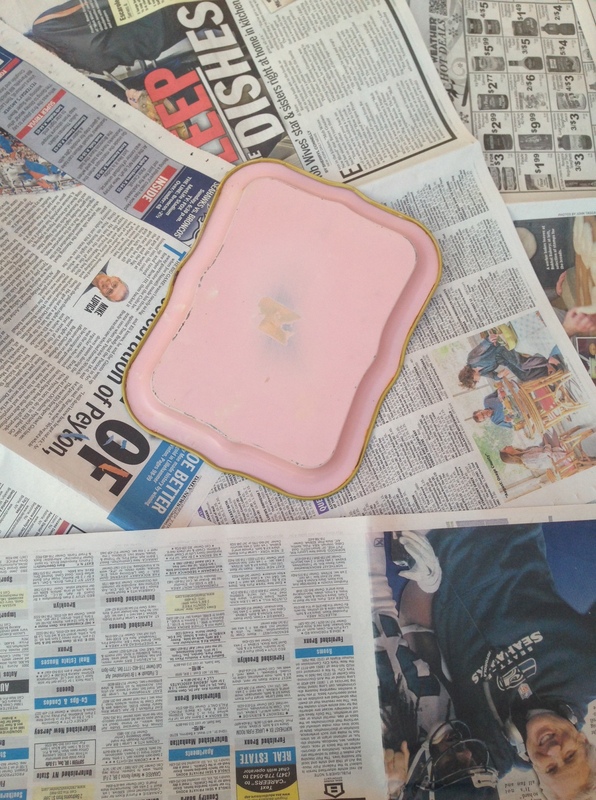 While I rely on home decor from Target, IKEA & Urban Outfitters, I also love to scour the Brooklyn Flea in Williamsburg, Bklyn and I’ve found some pretty cool stuff like my 22 carat gold tea pot and this light pink petite jewelry tray (pictured below). Bonus: It only cost $4. Lay out newspaper or cardboard in an isolated, well-ventilated area. 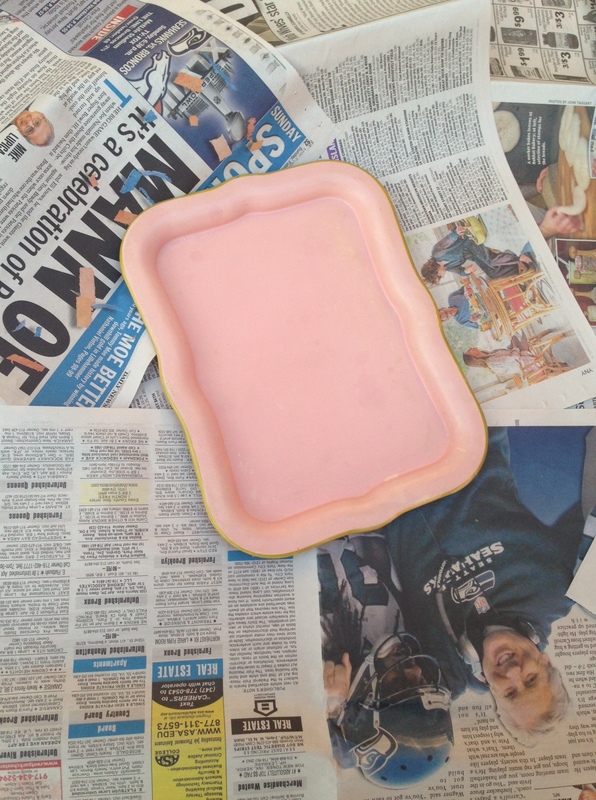 Use the sandpaper to sand the surface areas of the tray evenly. Spray one side of the tray evenly by holding the can 6-8 inches away from the object. Allow tray to dry completely overnight (for best results & proper handling). Voilà! Now you have a beautiful jewelry tray to throw all of your gorgeous pieces on.